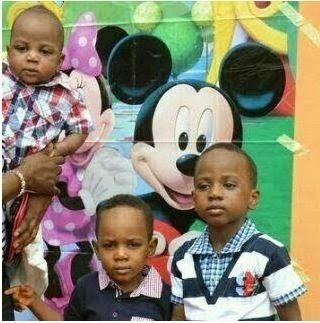 The three Orekoya boys, Aderomola Orekoya, 11 months, Adedamola Orekoya, 4 years and Demola Orekoya, 6 years, who were kidnapped by their 23 year old nanny, Mary Akinloye, on April 8th have been found. Their mother took to her Facebook wall to share the good news. But the family didn’t say how they were able to get the children back or if they paid a ransom. We thank God they are back! So happy the kids are back with their parents.